Here's a terrifying fact: approximately 11,000 children will be conceived in the US this Saturday or, as swooning women everywhere call it, Valentine's Day. ELEVEN THOUSAND. Kind of puts worrying about the flowers and the reservation into perspective. 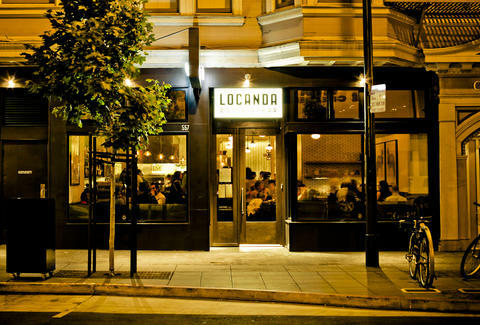 Not to fret: Locanda understands that not every couple celebrating V-Day wants to pop out a baby nine months later (or, you know, experience painful urination a week to two weeks later). That's why it's providing Valentine's diners with complimentary Locondoms. Make a reservation and enjoy delicious Italian food, then grab a Locondom and go out with a bang. Daisy Barringer is Thrillist's SF Editor. She will be making a concerted effort not to conceive any children this Saturday. Follow her on Twitter @daisy to see how she does.